Processes. It is always good to have solid and well tested processes. Whether you are setting up a new business or have been operating for the last 20 years, it is always good to reflect on your booking processes each year. As customer purchase behaviour evolves, it's important that your processes evolve with it in order to meet (and exceed) expectations. In your decision to sell your tour and activity online means that now is the time to have a really good hard look at how you are servicing your customers now. Below are a few questions that you can ask yourself as you go through this process. What are your booking processes? How do your direct customers finding you and communicating with you at the moment? Do they call you and do you enter the booking details in a diary? a notepad? in a booking system? How do you confirm the booking? DO you give a confirmation number? Do you follow up with an email or message to confirm? What information do you capture? Where are entering the information? If you currently already aren't selling online, how do you take payment? Is it over the phone (make sure it's PCI Compliant! ), do you send them an invoice from your accounting system? Do you take payment on the day of departure? Do you need a deposit? Payment processes are important to review as if this is a too difficult for the customer (or causes them to ever feel uncertain with passing on their credit card information) then this can a big barrier to your conversion rates. Then once you have reviewed what you currently do, it is also ideal to look at how this can be further streamlined for your business requirements and also to meet your customer expectations. You have an activity that is highly reliant on weather conditions before it can proceed. You currently take payment on the day of departure with your credit card machine. While this works well enough, it means that if you have to cancel that you can, however it also means that if you have no-shows, then you have lost that revenue. It also means that you aren't able to enforce any cancellation policies which is difficult as you have costs associated with each activity departure that you have to cover. Develop a cancellation policy that includes "for bookings that cancel within 24 hours and for 'no-shows', the participant loses 100% of the deposit paid". Start enforcing a deposit policy - set a certain percentage of the booking (if the activity is $250, then a $50 deposit) and the deposit is taken at time of booking. This deposit policy can be easily set up via phone bookings, invoices and also online so customers can pay the deposit when they book online. Balance of the booking is paid upon departure - customers arrive and pay the balance before heading off on your amazing, life changing activity. If you need to cancel the activity due to weather, you can then re-allocate customers to the next day, re-allocate them to a voucher to use at a later date or refund the deposit. Most bookings with try to re-schedule to a new date and you still get to hold onto that deposit money until they travel. These changes will confirm the customers spot on the activity and also protect your business against cancellations and no-shows (which will reduce once people start paying deposits), thus mitigating the risk of having to foot a large bill when a group doesn't show. Once you have taken a booking, how do you let them know that it is confirmed? Do you email them? Text message them? Sent a confirmation letter? Give them a confirmation on the phone? How to get to your activity or tour departure point. Also, what information do you need to know about your customers beforehand? In order to operate, you may need to know height/weight requirements, dietary requirements and so on. When do you find this information out? Is it at the time of booking or on arrival. What implications to your business by not having this information mean? Now is the time to review your cancellation policy as mentioned above. While we need to be 'customer-centric', you also need to protect your revenue in order to pay bills and keep the business profitable. If you are a remote tour that have food included, you may have to order in the food 7 days (or even more!) in advance so your cancellation policy needs to cover this cost in case anyone cancels within the 7 days. Do you have logistical requirements that need to considered? As mentioned above, you may be a remote business that has to order food 7 days before departure or you have language guides that you need to arrange or specific vehicle types to cater for the group. These things can sometimes need time to arrange so you realistically can't take a booking at 11pm for the next day. Can you set lead time rules in order for you to meet the needs of the departure. How can you enforce this rule in the channels where you sell? Do you have a Booking System? 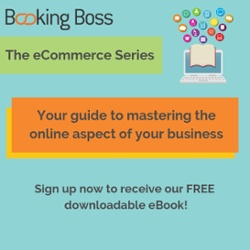 If you are going to sell online, realistically you are going to need a booking system. Today's travellers expect live availability and instant confirmation. They want to lay in the bed of their accommodation and decide what they want to do the next day and research and book on their smartphone. They can't do this if they have to call or send a request for availability. The reality is, nowadays, they will find an activity that they can confirm if they can't book yours. If you don't have one, it's time to start researching your options. Here is our "Ultimate Guide to Buying a Reservations System" that helps you review all your needs and checklist against the system that best suits your business. 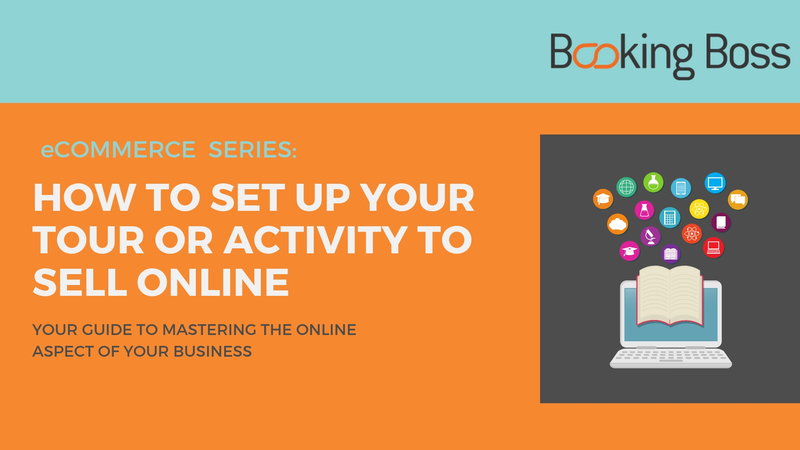 Having answered the questions above and implementing booking management system for your tours or activity business will then set you up in launching online to take bookings. What's coming up next week? Payment Gateways. What you need to know before hitting the "launch" button.